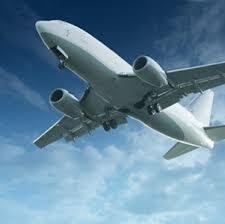 Air travel is considered as one of the most convenient and safe way to travel to various locations. The federal government of the United States has introduced some regulations in order to ensure the safety of the passengers, who prefer air travel. These regulations comprise requirements for the passengers to show essential identification and follow rules that state the materials one is allowed to carry while boarding the airplane. It is mandatory for the passengers, who are 18-year old and above, to show an acceptable identification proof at the airport checkpoints in order to be permitted through the checkpoints to board their respective flights. The state issued photo identification or US federal photo identification proof needs to contain the legal name, date of birth, date of expiry and gender of the passenger. The identification proof even needs to bear a feature, which makes it a tamper-proof. The valid forms for identification comprise a US passport or the passport card, the green card i.e. permanent resident card and the driver’s license. The security checkpoints even accept the foreign passports as the identification proof. The federal travel regulations issued by the government of the United States have a list of items that are not permitted on the airplanes. Since the federal government prohibits the travelers to carry most of the items along with them onto the airplane, you can carry some of the items in your luggage that gets verified at the airport and permits particular items. The list of the prohibited items comprises the objects that the federal government classifies as sharp objects, guns and other firearms, sporting goods and utilities, various martial arts and self-defense items, all explosive and the flammable materials, several disabling chemicals and other dangerous items and even some miscellaneous items. The issued federal regulations even call for the passenger’s laptops to be properly inspected at the airport checkpoints in order to check whether anyone has tampered with them and whether it can pose danger for the air travel. Most of the times, the laptop inspection process at the airport asks you to take out the laptop from its bag for its proper inspection at the airport checkpoints, however, if your laptop bag meets some specific “checkpoint friendly” standards then you are permitted without its inspection. As per the existing Transportation Security Administration the security inspectors do not need to take out the passenger’s laptop from its bag for its inspection, if the laptop bag offers a clear and unhampered image of the laptop when the bag passes through the airport X-ray screening. The federal government has implied some specific requirements for the traveler’s laptop bags to be regarded as “checkpoint friendly”. However, even the usage of such laptop bags does not ensure that your laptop won’t be taken out of the bag to for inspection by the security inspectors at the airport checkpoints. By implementing all these federal travel regulations, the US government invests best of its efforts to ensure the safety of the passengers opting to travel by air travel.